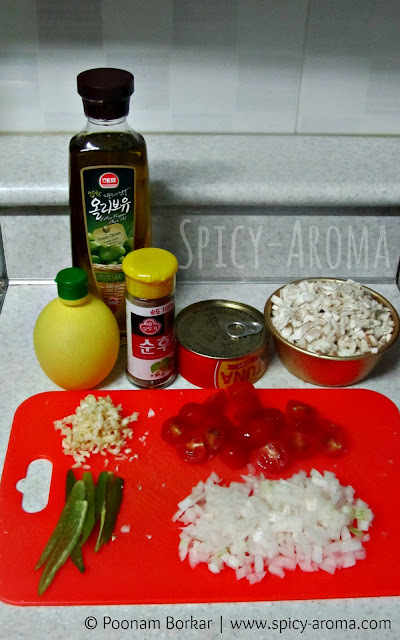 I tried hot pepper tuna stir fry last week just with onions and cherry tomatoes and it tasted good. Today I experimented tuna with mushrooms and it turned out extra ordinary. So I thought of sharing this recipe with you all. 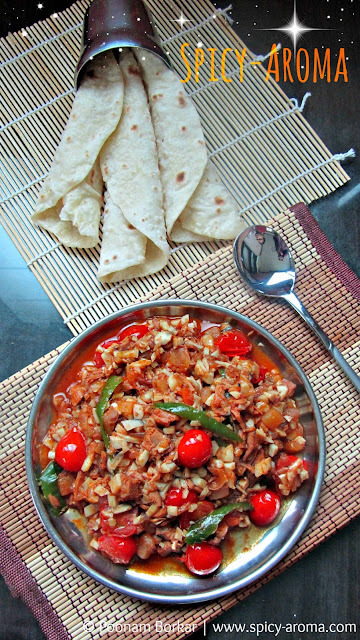 If you get stuck often with what to cook quickly for dinner, this recipe is for you. 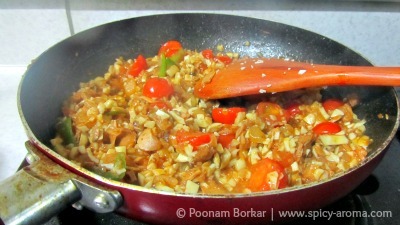 This stir fry is tasty, so easy to make and goes perfect with some bread or roti. 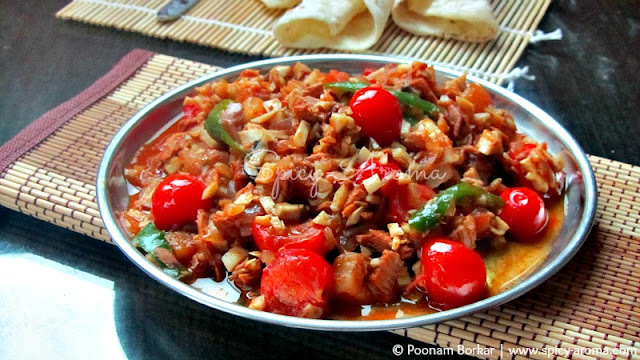 How to make Mushroom and hot pepper tuna stir fry? Heat up oil in a pan. 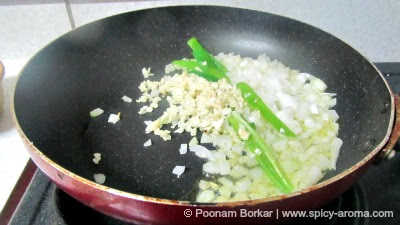 Add onions, minced garlic and green chilies. Saute for a minute until onion turns translucent. 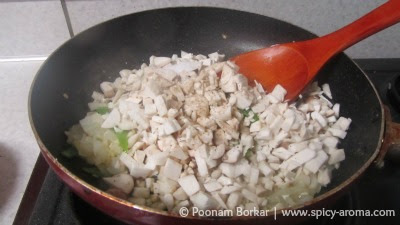 Add mushrooms and season with pepper powder and salt. Since we are using canned hot pepper tuna, be careful while adding salt and pepper. Seasoning should be just enough for mushrooms and onions. Mix well and let the mushrooms cook for 2-3 minutes until they turn tender. 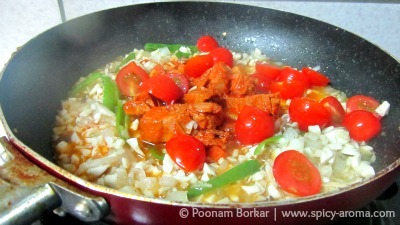 Then add canned hot pepper tuna, cherry tomatoes and lemon juice. 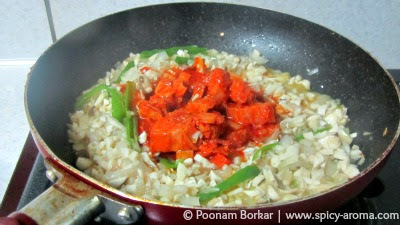 Mix well and cook for 1-2 minutes. Switch off the heat and serve hot with bread, roti or plain rice. Very flavourful and delicious tuna stir fry. Looks amazing!